Edited by Emergy Maxfell, 12 August 2013 - 05:08 PM. Great tutorial, but you could write the text here, not just post a link. I didnt understand one thing, how did the Weapon Raws appeared in the Org Storage? I bought it on the Marketplace while I was logged into the Org. ..but with what money? There wasn't a previous money transfer from the Gov was it? My idea this was. Good innit? Emergy, this is why I didn't bother attempting one. You sir, are a boss! There was already money in the org, I should have stated that in the first place. The org was originally empty, then funds got transfered into it via congressional donation. With some of those funds I bought the WRM. 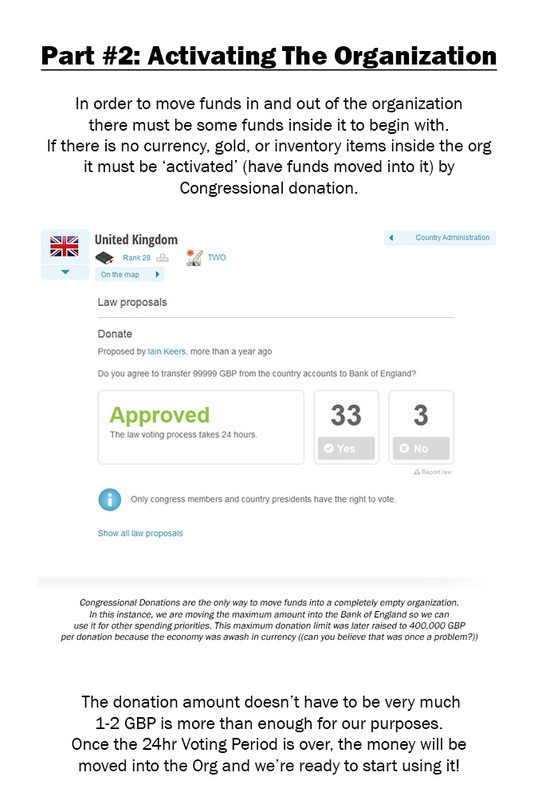 If you have a completely empty org, you'll need to transfer funds in via Congressional Donation then take some of those funds and buy a couple pieces of WRM. My stated policy is "Always Listen To WayneKerr"
What is the best way for a CP or other troll to steal things from national orgs? 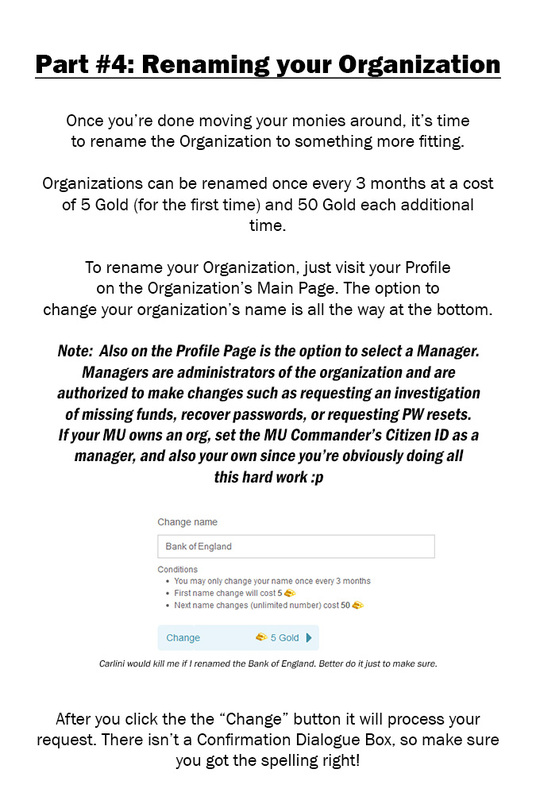 Or, if you're the CP, just have Admin reset all the passwords and steal everything!